Normal Separation Anxiety: Steps to Make it Easier. The normal symptoms of kids suffering from Separation Anxiety are crying, throwing tantrums, and clinging. The natural course of action to be taken by parents is to ease the child’s worry, be patient, set limits gently but firmly. In time, the child’s anxiety will naturally fade. The worries and the accompanying bouts of crying will be gone. However, if no matter how patient a parent is the child still experiences separation anxiety, it may be a cause for worry already as it may now be a bigger problem: Separation Anxiety Disorder. Practice separation. You can leave your child with an adult you can trust for brief periods and short distances at first. Develop a “goodbye” ritual. It can be as simple as a wave of your hand or a goodbye kiss. Keep familiar surroundings when possible and make new surroundings familiar. Leave without fanfare. I read somewhere about this from a single parent. She wouldn’t let her kids throw tantrums or cry when she’s leaving the house. She will firmly tell them that she will be back soon and that they should behave and respect their nanny. She will then go out of the house and leave just like that. She wouldn’t let any of her kids stall her unless it is very important. I think that’s what this step is all about. Minimize scary television. I remember hating those scary threats of some of my elders when I was a kid. Like a ghost will take me if I misbehave or that a bad man will come get me if I don’t follow orders, something like that. It doesn’t help to scare a kid! Keep that in mind. Try not to give in. It’s so easy to feel pity for your child, and just give in to what he/she wants. But you know what? It can cause more harm than good. It will not break the cycle of separation anxiety. It can actually make it more of a problem because the child slowly learns how to use emotional blackmail to his/her advantage. What is Separation Anxiety Disorder? In simple terms, it is the feeling of anxiety felt by a young child when a parent (or both) says goodbye. The child will naturally assume she will be left behind and she doesn’t know if her parent(s) will come back for her. It is natural for a young child to feel this way. It can easily be solved by making her understand that you are coming back and that goodbye is only temporary. As the child grows older, the anxiety will naturally go away. But when it does intensify, it becomes a disorder that needs to be addressed by a professional. Treatment is necessary so that the anxiety, the fear, felt by the child will be eased. I am reminded of my younger sisters who underwent separation anxiety when they were new in school. I had to take care of them so that they wouldn’t feel like they were abandoned. I remember them crying so much I couldn’t leave them even when the school bell already rang. I had to take them with me to my classroom at times just to make them stop crying. I didn’t know it was separation anxiety back then. It was only now that I am tackling these topics related to schooling that I am enlightened as to what my siblings and I underwent in school. 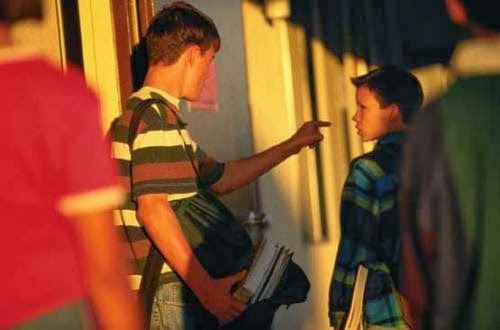 However we try to deny it, Bullying happens in schools everywhere in the world! 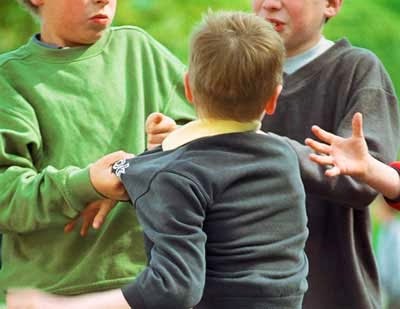 Be it in public or private schools, bullying is rampant and can’t be stopped. 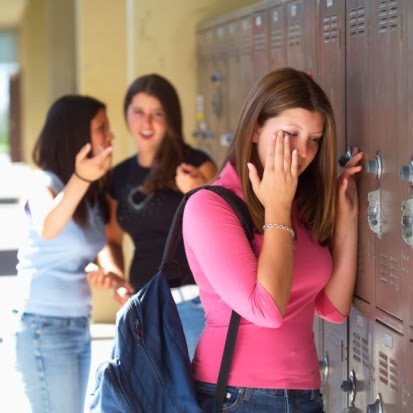 Steps are taken to ensure that kids are protected from bullies, but, believe it or not, even authorities in school who should be the first ones to protect the students can be bullies, too! Do you know the very thing that we can do to stop bullying, once and for all? Make sure your child knows how to protect himself/herself! Tell your child also to not be afraid to tell you what’s happening to him or her in school. Be more active in your child’s school life. Get to know her friends and classmates! Know her school teachers. Make sure you are always there when your child needs you. Every parent has great expectations from their children. This is a known fact, and lots of parents appeal at home schooling trying to give a better education to their children. But, this is indeed a good thing? Well, it is a good thing and not. There are no rates that can prove that this type of teaching is extremely efficient. Parents who choose this teaching method should take in consideration and other critical factors that can shape a kid. For children, it is important to make friends, to socialize and to try to figure it out by their self about how things work in this world. Making lots of friends, socializing, and other crucial things can be done only with traditional schooling. Each method of teaching has its own benefits, however, it has, and some disadvantages. When you as a parent, choose to offer your kid a tutor that will teach him everything he needs to know at home, think about what the kid will miss. A person can find how valuable he is when he must confront with difficult situations. Being home all the time will not be of a great help. Well, even so, you cannot throw the kid right in the wolf’s mouth. The most important thing for any person from this world is the freedom. This will be the thing that your kid will lack most. Academic grades are not exactly the most crucial things from this world. When a parent is not sure about the method that he wants to use, the best thing he should do is to discus about it with his child. This way, they will come to a decision, and they will avoid the eventual conflicts that may occur. When it comes to choose, between home schooling and traditional schooling can be difficult. Either of them has benefits that can form a kid making him an awesome adult. 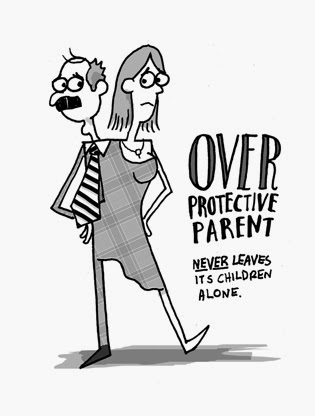 Did you know that overprotectiveness can actually cause more harm in a young student? Consider Separation Anxiety Disorder. A child’s anxiety can be fed by a parent’s very own anxiety. Did you know that? Try not to be too protective of your kids. They should learn how to deal with reality on their own. I am not saying you leave them and let them deal with life’s obstacles. You should be by their side when they traverse this world and live their lives. You should be their guide until they can do it on their own. For a couple of years now, one of my dad’s brothers and his family celebrate Christmas Day with us. They would have lunch with us. It’s a tradition by now. One of the topics we talked about during Christmas Day lunch is choosing a college course. A female cousin is graduating this coming April from high school and will be starting college by June. (Side note: Philippines has a different school calendar from the American and British school systems.) I asked her what course she will be taking up and she told me that she chose Business Administration because that’s what her mother, my aunt, wanted her to. I shook my head in disbelief. I read in her old Facebook status that she was considering a course which is in line with hotel or spa services. And I told her to pursue it because she has that innate gift in comforting the people around her. I told her not to take up business-related courses because she will only end up in a sales or telemarketing job that she doesn’t want. I asked my aunt why she told my cousin to take up Business Administration and she told me that it will be easier for my cousin to find a job after college. I hope parents out there will not pressure their kids to take up a course they like. They should ask their kids what they want to pursue in life and guide them to find the best college course which will be their stepping stone in reaching that level they want to be in the future.